We deliver Total Quality Assurance to the petrochemical industry through our expert testing, inspection and consulting services. The petrochemical industry faces many challenges from personnel and site safety, product quality and operational performance to asset integrity management, risk identification and regulatory compliance. Owners and operators in the petrochemical sector need the support of a global technical services partner who can provide 24/7 services that maintain safety, minimize risk and optimize operations and processes. 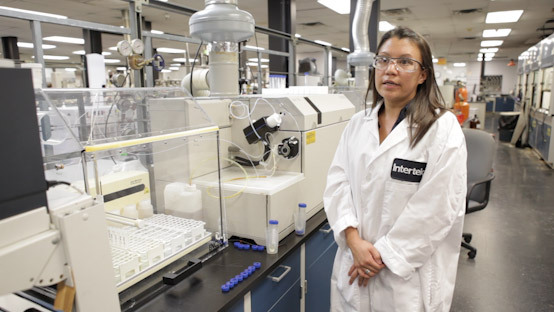 Intertek is an industry leader in providing global petrochemical testing, sampling and facility inspection services. 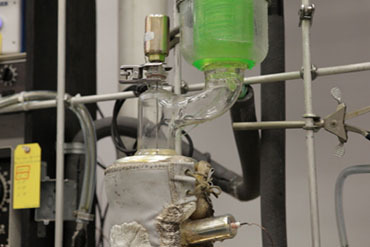 Petrochemical testing is conducted by Intertek laboratories across the world to ASTM, ISO, IP, and other accepted chemical industry standards and protocols. Materials tested include the entire complex range of hydrocarbon based chemicals derived from petroleum, natural gas, coal, and biomass. This also applies to primary petrochemicals including olefins, aromatics, and synthesis gas. We support petrochemical production, process engineering, cargo logistics operations, facility and equipment integrity management as well as product and personnel certification on a global basis. With petrochemicals being produced on a very large scale, manufacturing units produce multiple products and these units are often clustered in various locations around the world. Effective logistical plans and on-time deliveries are therefore critical to ensuring that projects and processes remain on schedule. Our local teams proactively work with you to expedite timelines, and if there is an issue our prompt responses help you get back on schedule. Unexpected plant downtime can escalate costs and cause lengthy delays. To avoid this we provide services such as preventive and corrective integrity inspections, in-service inspection data maintenance and analysis, corrosion mitigation, and much more – all of which help to keep your facilities and production capabilities running efficiently. Whether you are constructing a new plant or enhancing and expanding an existing one, our technical experts can provide support from equipment design review, 3D laser scanning and dimensional control, condition assessments and engineering consulting to inspection, corrosion control, non-destructive testing and more.